Did you know that 49% of us fly abroad at least once a year? With the weather we have that is maybe not surprising though is it? But when you are disabled or have a loved one with a disability, travelling presents challenges which restrict you from doing so. Gatwick Airport has been working closely with UK charities and OCS, who provide passenger assistance services, to promote greater awareness and understanding of the challenges passengers with hidden disabilities can experience when traveling through busy environments and as a result of this have recently launched a lanyard. The lanyard is a discreet way for staff to see that passengers may require additional support or time and will allow them to offer assistance. 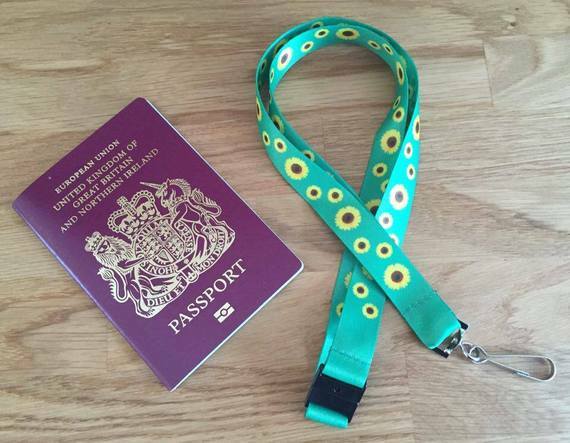 Passengers can choose whether to wear the lanyard throughout their time in the airport or just pop it on when they need to – eg. in queues, at security or anytime they are feeling vulnerable and could use some assistance. They are entirely optional for the user so they won’t feel uncomfortable having it on display permanently and could even have their parent or carer wear it instead. The lanyard will ensure that airport staff are aware that a passenger need help or even just not to be rushed. In conjunction with my dementia assistance cards which are now also available in French and Spanish for carers – help is at hand, even if your luggage is not!!!! All you need to do to get one of the Sunflower Lanyards simply email us special_assistance@heathrow.comand provide us with a forwarding address.